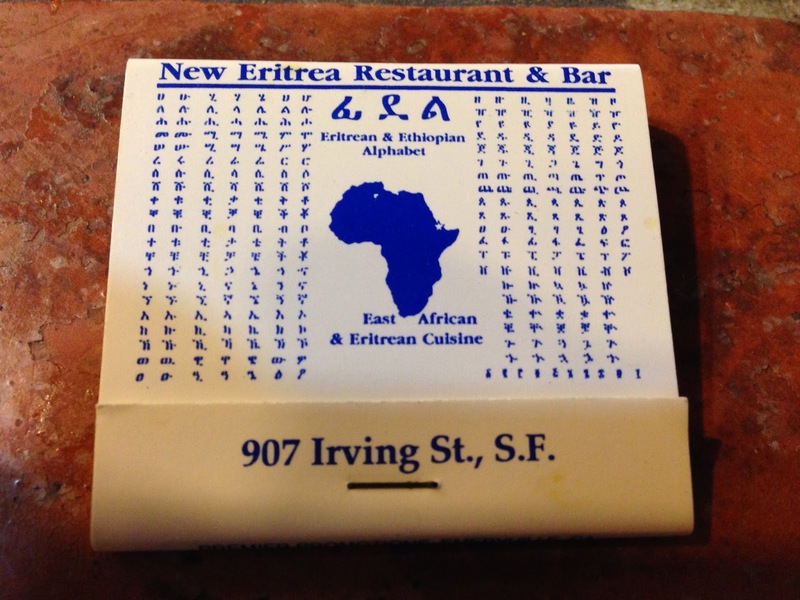 This evening I took the 44 bus from my neighborhood, the Inner Richmond, across the park to the Inner Sunset, to pick up some delicious food at New Eritrean Restaurant. Getting the food was really my secondary purpose. I really wanted to get my "elevator speech" recorded in Amharic by a native speaker. 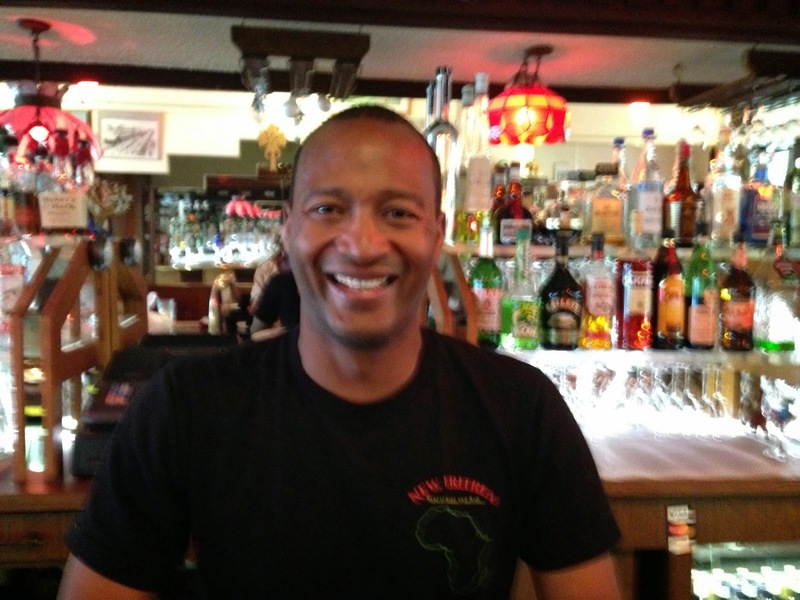 My family has been in this restaurant before, and we've spoken a few times to a man named Manna who is incredibly kind. Luckily he was there, and his two daughters, ages 4 and 7, were coloring at the bar (they are on Easter break). While waiting for my vegetarian sampler takeout order, Manna patiently translated my five sentences into Amharic, explaining some of the phrases in more detail. From this initial recording I can start to build my vocabulary. Meanwhile, I will search for other Amharic speakers to provide alternative translations. I've also decided to start learning the alphabet, even though Jan suggested reading and writing could be placed outside the scope of this project. It's just too cool to resist. According to one source, there are 231 "letters" in the Amharic alphabet, but these are really 33 consonants each connected to 7 vowel sounds. Manna said he had recently started teaching his daughters the alphabet. They had mastered the sounds and were now going to start on writing the script. I have a strong hunch that Manna is going to be an important person on my journey. Manna in front of the bar at New Eritrean Restaurant on Irving Street. A super guy. Manna gave me a book of matches from the restaurant. It shows the entire Amharic alphabet, and there are many more than 231 symbols printed. I need to figure out the exact number.